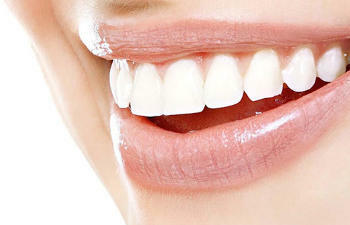 Leave a great first impression with a white, bright, and healthy smile. 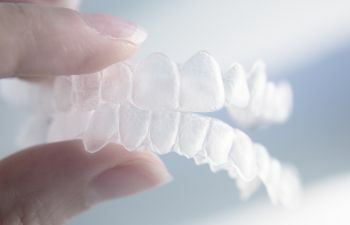 Tooth colored fillings, bonding, crowns, veneers, and implants not only improve your smile and confidence, but will aid in restoring important functionality to your teeth and help avoid further damage. Prevent bone atrophy in the jaw with a dental implant. These surgical-grade root devices are permanent tooth prosthetics that are manufactured to last a lifetime. Dental implants can be used to replace a single damaged tooth, or multiple teeth. Are you ready to transform your smile, and smile with confidence? 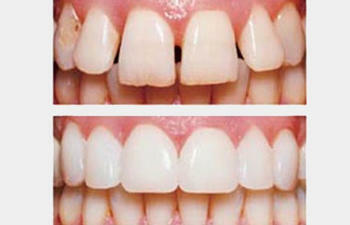 Teeth whitening can change the shade of your teeth 5 to 10 shades whiter in as little as one session. Professional whitening procedures are faster and more effective than over-the-counter options. Choose from several different teeth whitening packages. Setting your child up for a lifetime of dental success starts with the first tooth. We have the word “family” in our name because we want to see everyone in your family including the little ones. Just like all good habits, the sooner you start the better your chance for long-term success. If you’re looking for an experienced and trusted dentist in Rocky Hill, Cromwell, New Britain, Wethersfield or the surrounding communities, you’ve come to the right place. We’ve proudly been serving Rocky Hill patients for over two decades. Our aim is to actually see you less! Our mission is to empower our patients with the knowledge to never have to see us – aside from checkups and routine cleanings. Prevention is always the best cure. The American Dental Association recommends seeing your dentist at least twice a year for a dental exam. Identifying existing or potential problems when they just start will keep you out of the dental chair longer and avoid costlier and potentially painful procedures in the future. We pride ourselves on having the most informed dental patients – that’s why we say brighter smiles and smarter patients. Dr. Robert Hemphill received his Bachelor of Arts from Albion College in 1997. He furthered his education and completed a Masters in Health Administration at Grand Valley Sate University. He completed his Doctorate of Dental Medicine at Nova Southeastern University followed by a General Practice Residency at Yale New Haven Hospital. We’ve been practicing family dentistry in Rocky Hill CT for over 20 years now. We’ve gotten to know so many great individuals and families over the years. Every town and city has a different culture with great things to offer, and we’ve fallen in love with our community. Our values align with our patient’s values and you can’t always get that. We cherish it, and it’s a huge part of what makes coming to the office every day so enjoyable for us. We know that a lot people have had uncomfortable experiences in dental offices, or just simply have a fear of doctors. We understand, we’re just as vulnerable as our patients and always put ourselves in their shoes when they step into our office. One of our missions is to have our patients associate comfort and relaxation with their dental visits. Comfort starts when you walk in the door and are greeted by our friendly staff and continues until you walk out the door. Our philosophy is good dentistry starts with education. We can take care of nearly any dental need our patients face, but at the end of the day our goal is to see you less. We don’t just do the work and say goodbye. You leave our office with new knowledge that will keep you out of our chair until your next checkup or cleaning. We want more patients, and more informed patients. We believe that is the best approach for serving our community.